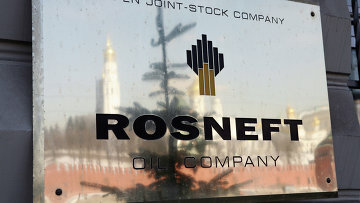 Investigators seek to detain Rosneft subsidiary CEO suspected of corruption | Russian Legal Information Agency (RAPSI). MOSCOW, September 11 (RAPSI, Yevgeniya Sokolova) – Investigators have demanded to detain CEO of Rosneft oil company’s subsidiary RN-Sakhalinmorneftegaz, Andrey Bardin, on suspicion of corruption, spokesperson of the Tagansky District Court of Moscow Yulia Sukhinina told RAPSI on Monday. Bardin is suspected of commercial bribery in the amount of 1 million rubles ($17,500). According to investigation, RN-Sakhalinmorneftegaz CEO Bardin conspired with a group of people to illegally obtain the money. On September 9, the defendant received 1 million rubles from a representative of one of companies in Moscow. Allegedly he promised a briber not to create obstacles for the company’s participation in a tender. RN-Sakhalinmorneftegaz is one of the oldest Russian oil- production companies engaging in the business in Sakhalin. 17:38 11/09/2017 Investigators have demanded to detain CEO of Rosneft oil company’s subsidiary RN-Sakhalinmorneftegaz, Andrey Bardin, on suspicion of corruption.